No one really knows why or where Thailand got its nickname, ‘The Land Of Smiles’, but we like to believe that one of the main reasons is their local delicacies. 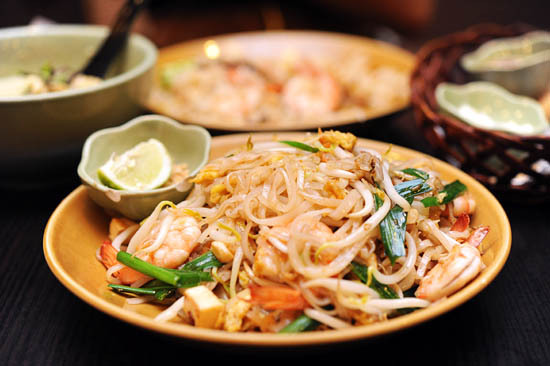 Thai cuisine is renowned for its distinctive flavours which heavily relies on four fundamental tastes: sour, sweet, salty, and spicy. Whether it’s a bowl of tom yum soup, green curry, pad thai or simply a mango sticky rice dessert, you are bound to be left extremely satisfied. Anytime is a good time for some tasty and affordable Thai food so here is our list of affordable Thai eateries in Singapore. Are you sick of your usual supper spots? Minced Meat Noodles, Nasi Lemak, Frog Leg Porridge, Dim Sum—they are all amazing. Good as they may be, we all need a change because who doesn’t get tired of eating the same food every night? Golden Mile Complex or otherwise known fondly as “Little Thailand” to the locals and Thais living in Singapore is a mall that is always bustling with activity throughout the day. While most people would know the place for its pubs and drinking places, there are also many humble eateries and hidden restaurants inside that cater for the lunch crowd during midday too. Whether you are craving for traditional Pad Thai, creamy Green Curry or simply want to fill your hungry stomach with aromatic beef boat noodles, you will surely be able to find them all at Golden Mile Complex. 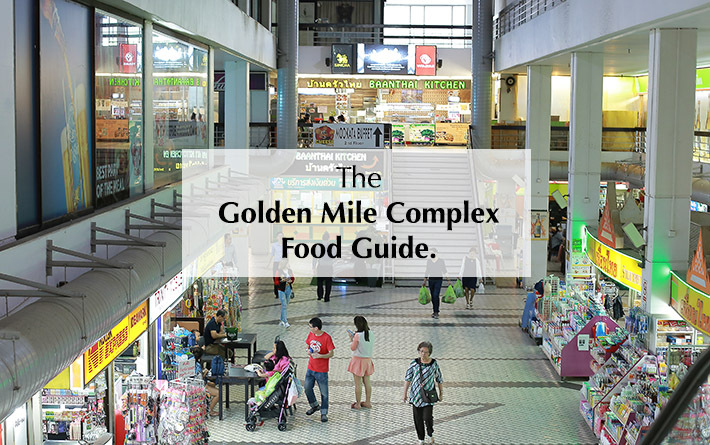 Here is our Golden Mile Complex Food Guide, featuring 11 Thai eateries that you must dine at. Many people head down to Golden Mile Complex—also known as Little Thailand in Singapore—to satisfy their Thai food cravings for that place is home to many eateries serving authentic Thai cuisine. Golden Mile Tower, located just next to Golden Mile Complex, also has a few eateries that are worth checking out. Beerthai House Restaurant is one of them. 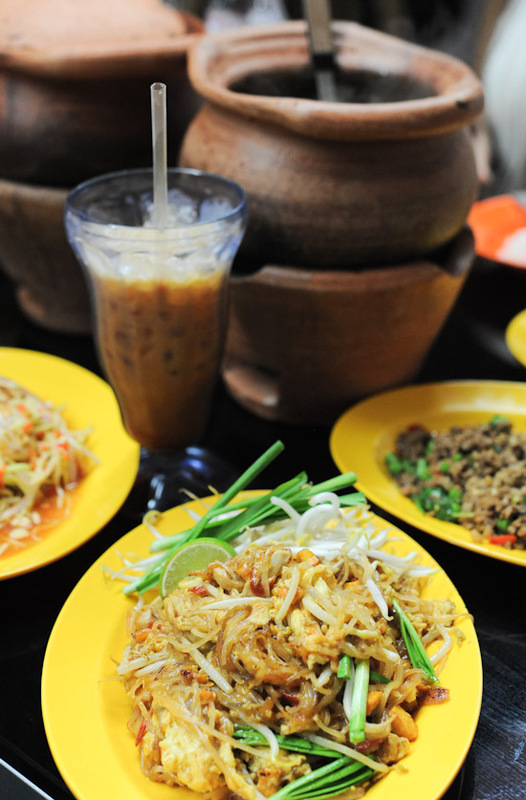 It offers a selection of affordable Thai main dishes, desserts and drinks. Thai food fans, HANDS UP! Let us all celebrate our love for spicy and fiery flavours. Thai Food is always and forever food for the soul, and a good Thai meal does wonders. Expect nothing short of a spectrum of contrasting flavours that tickle our taste buds – sweet, sour, spicy, very spicy, and very very spicy. Heck, even the spiciness levels have different kicks to it, and we are definitely loving it! Bring us all the Phad Thai, Tom Yum and Green Curry please. Thai food need not be expensive. In fact, they are supposed to be economical, and the idea is to order a whole table of dishes for communal enjoyment. Whether it’s green chicken curry you are craving, or pad thai, tom yum or green mango salad, Nana Thai at Golden Mile Complex has it all. And the best part? The food is authentic and very affordable. Something tells me that I will be a regular at this humble Thai eatery. Eat with an open mind, and experience all the wonderful food this world has to offer. I haven’t been to many Thai Restaurants in Singapore, so I decided to compile a list of places that I want to visit this year. 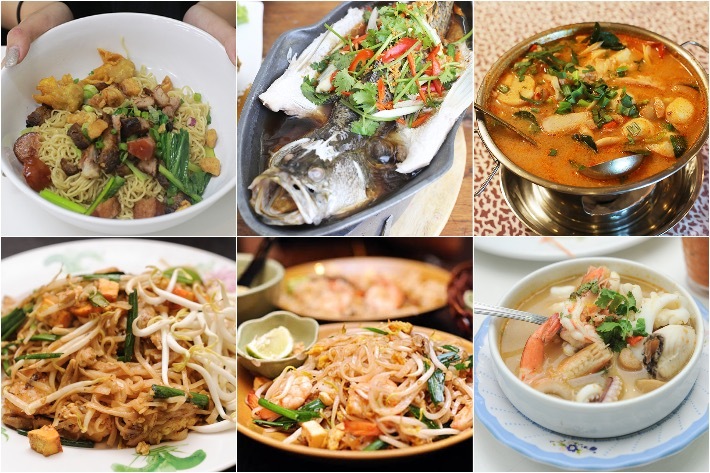 Be it fine dining Thai restaurants, or eateries that serve cheap and good Thai food, this list will guide you to experience the best Thai Cuisine. Buffet lovers will be happy to know that I have also included options for Thai Buffet in Singapore. 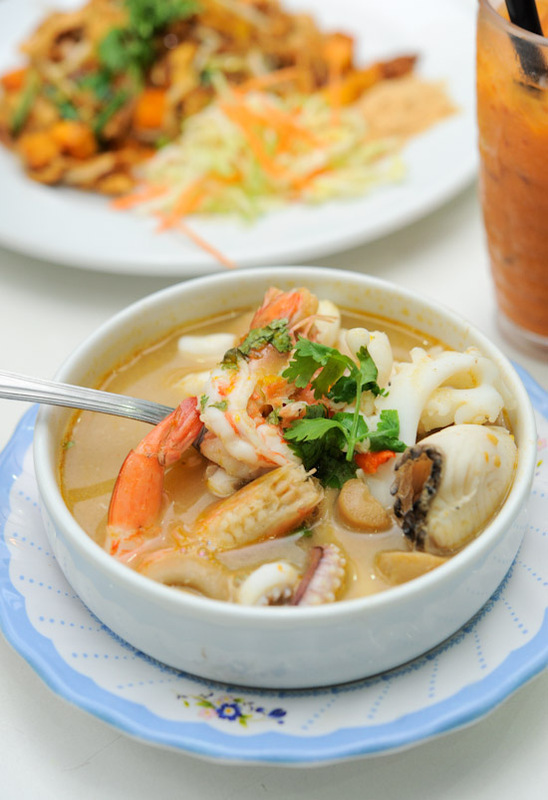 There are many options for Thai Food in Singapore, and Ah Loy Thai restaurant is definitely one of the best when it comes to cheap and good Thai Food. Even though Ah Loy Thai does not have nice ambiance like the other Thai fine dining restaurants, it serves good Thai food at very affordable prices. We are talking about $5-10 for most of the items on their menu (plus they don’t have GST and service charge). The prices here are even cheaper than some of the Thai Eateries at Golden Mile Complex.